You must be 21 years of age and have permission from your landlord or have acceptable home owner's insurance that will permit you to adopt the dog you are applying for. We are based out of South Jersey, so we typically we adopt our dogs to people who live within an hour or two from Gloucester County, NJ. If you meet these three qualifications, please complete our Adoption Survey (see here). We will review your survey and call your references that you provide. If everything checks out to be fine, then we will contact you to agree on a date and time for you to meet our rescue dogs. Finally, if your home visit checks out to be fine, we can then begin a 1-2 week trial period that we refer to as a "sleepover". The point of the sleepover is for the dog to adjust to your home and for you to decide if the dog is the right match for your lifestyle. After the sleepover, if all goes well, we will then finalize the adoption by completing the Adoption Contract with you. We do require an adoption fee in order to adopt one of our dogs. We love our rescue dogs and take them under our wing as if they were our own pet. 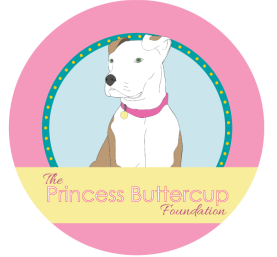 We spend hours upon hours socializing, training, and exercising our dogs as well as bringing them to events to promote them for adoption. We require an adoption fee because we invest a lot into our rescue dogs to keep them happy and healthy. The adoption fees help us to continue giving our rescue dogs the best medical care possible. 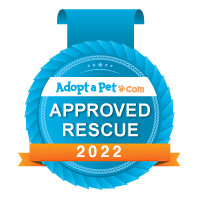 All our rescue dogs are examined by our veterinarian, fully vaccinated, dewormed, spayed/neutered, received bloodwork, given monthly flea/tick/heartworm preventative, and microchipped prior to adoption. We give our adopters around the clock support and guidance whenever needed.